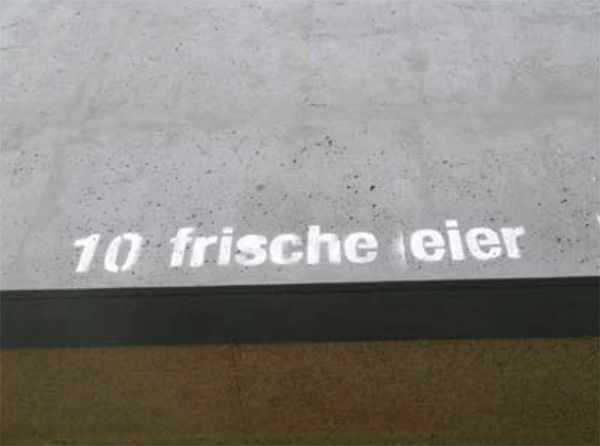 Intervention in the public space realized in Weimar, Germany, in 2005. 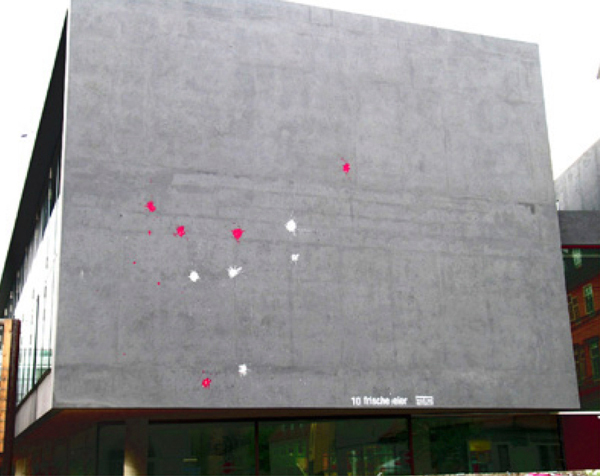 10 eggs filled with paint were thrown against the wall of the brand new library at the Bauhaus Univeristy. 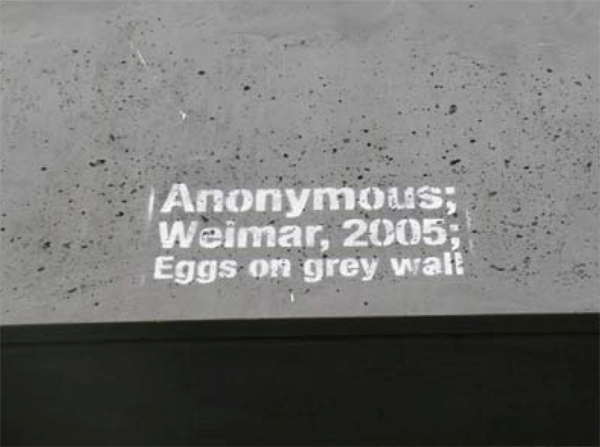 After I smashed the eggs on this wall, I sprayed a stencil which works as a plaque to explain the art-piece: “10 Fresh Eggs – Anonymous, Weimar, 2005, Eggs on Grey Wall”. 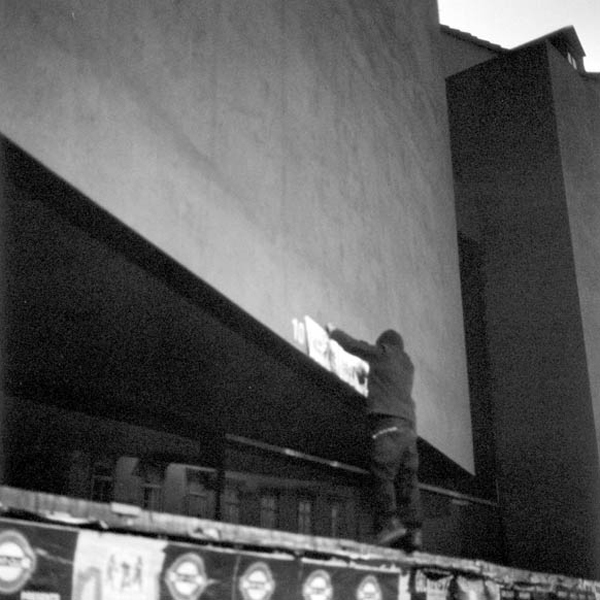 This illegal action became quickly very popular and it opened a discussion about the public space. 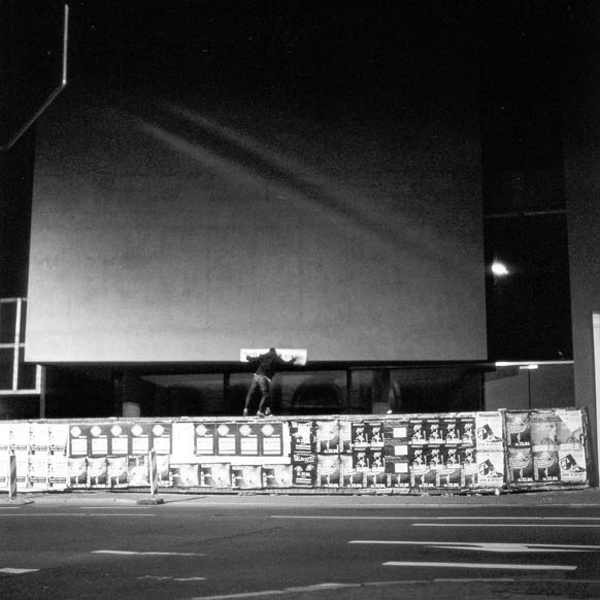 It was published on several blogs and radio programs. 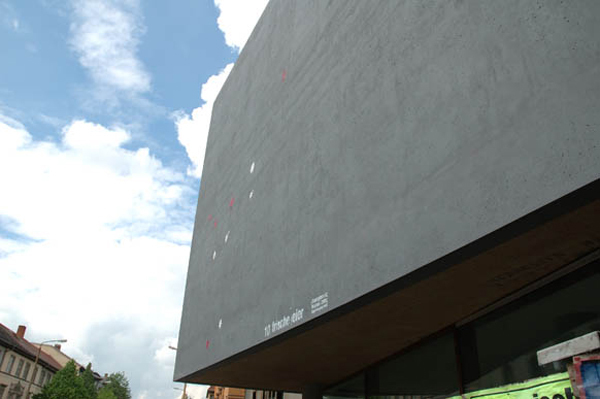 The architect who designed the building decided to clean the facade, but a commission of academics transformed the wall into “open source”: designers and artists are asked to submit the best idea to be produced on the grey wall. 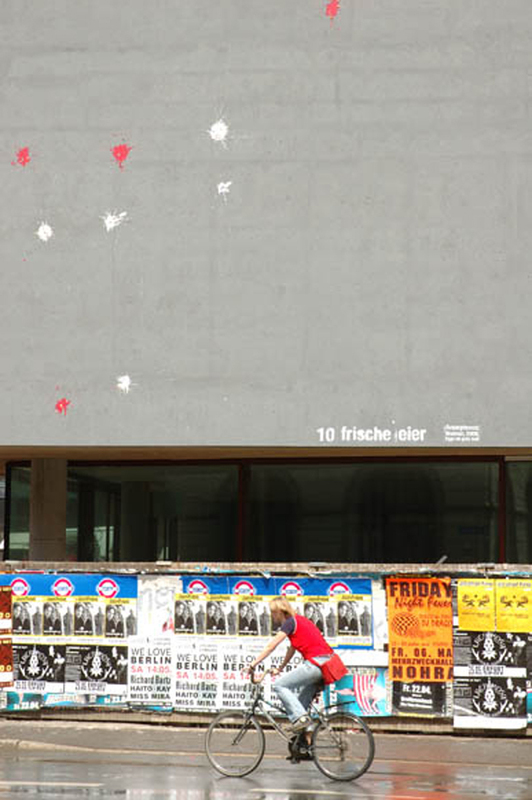 Read the article on Woostercollective. 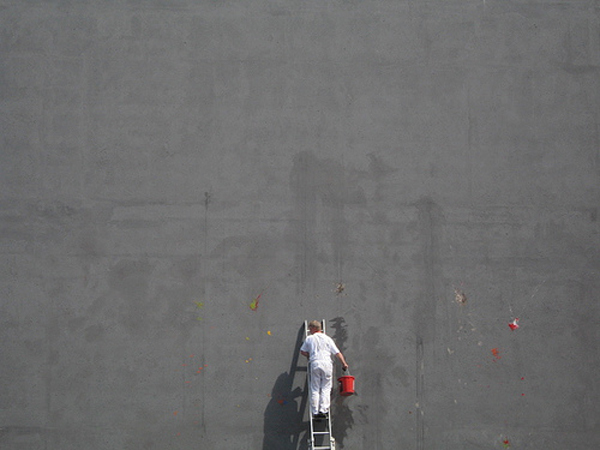 This photo was taken during the cleaning of the building by my friend Giulia Materia.